One of the central roles of STH has been spreading awareness about landslides - a hazard form whose impact on mountain communities has been neglected and under-estimated to a large degree the world over. 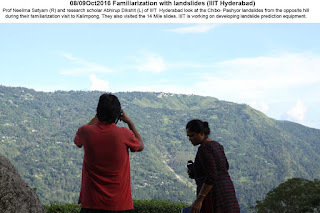 As such we have used every opportunity to engage with visiting teams both from India and abroad in the many landslide familiarization visits we have made over the years - records of all such visits are documented in this blog. 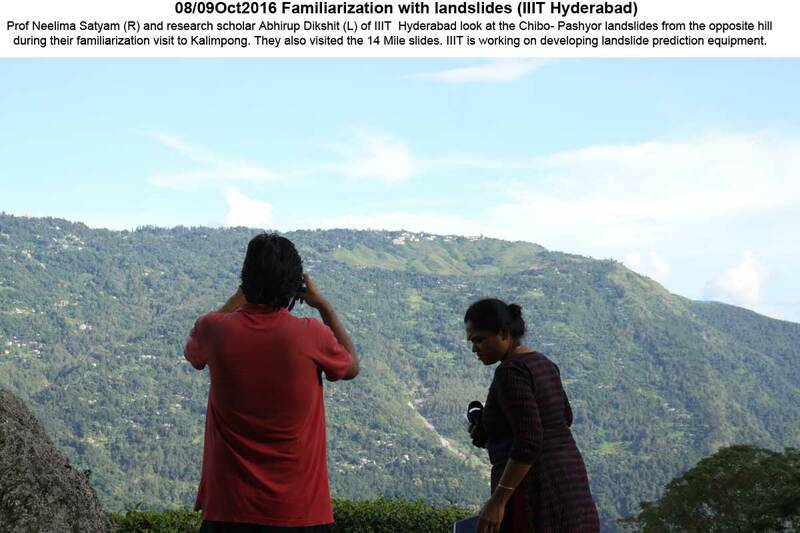 In Oct 2016 as a part of this program, we took two visiting delegates of IIIT (Hyderabad) for a tour of landslides in and around Kalimpong on 08/09Oct2016. 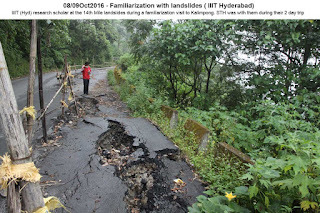 The institute is working on landslide prediction equipment which they would probably be installing in the Chibo-Pashyor landslide zone.